How to Build a Motivated Salon Team. Learn 10 Great Strategies to help build a motivated salon team. “Teamwork divides the tasks and multiplies the success“. Teamwork and employee motivation is a critical aspect of any business and has a direct impact on productivity and ultimately profits. A motivated employee that is actively engaged in a team environment leads to increased productivity and higher levels of output. Satisfied employees lead to less employee turnover, satisfied customers, increased customer retention, a higher standard of work, better work ethic, fewer days off, a willingness to improve and meet goals but most of all a positive and happy work environment. A disengaged unmotivated employee may work against your goals to increase your business. These employees may display behaviour that is less productive, may have a negative influence on co-workers, promote conflict, have more missed workdays, waste time, drive customers away, and negatively affect your customer retention. So here are some great tips you can implement today to increase the teamwork and motivation of your salon employees. A lack of clarity in goals and expectations may lead to frustrated employees. Laying the foundations of your business goals, priorities and performance goals give employees a clear direction of focus. Establishing a vision of where your team should be in 6 months from now give solid measurable goals. You can use the great Neko reporting tools to explain where your business is and draw up a realistic financial forecast to share with your employees. Of course, providing incentives will increase their desire to participate in striving for the goals, but more on that later. Salons are so busy these days its so easy to get caught up in the administrative tasks that take you and your staff away from customers. Be it, phone calls for appointments, scheduling issues, marketing or stock management, these things can all be streamlined to allow your team to perform their individual jobs better. Neko Salon Software empowers your team and provides a smooth stress-free environment where everything is effortlessly automated. Your team can provide more personalised care when all the information about their client is easily accessible on the digital client card. The great scheduling and reminder tools from Neko allow your staff to be more organised and reduces the burden of tedious paperwork. The staff management and reporting tools allow your staff to monitor their own sales and takes the guesswork out of calculating commission, incentives or targets. This simple and affordable software allows the entire salon to run more smoothly and look more professional. A consistent working environment is a more dependable environment and in turn, lowers the stress levels of your team. Incentives are a reward or promise of payment that encourages a person or team to behave better or work harder. Let’s face it, money has a strong effect on motivation and job satisfaction. 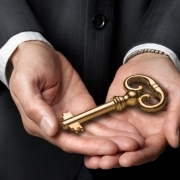 There are many different ways to provide incentives to your team. Depending on your preferences you may consider a commission based structure with employee earnings directly related to their generated revenue. Neko makes managing incentives easy and does all the calculations for you. Bonuses may be more beneficial for your team environment, where once a specific target is met the employee or team receives a monetary bonus. Incentives and bonuses don’t always have to be cash based. Once targets are reached you may like to provide your staff member with a free treatment in your salon, other things to consider are contests where the first staff member to reach a certain goal receive a basket of goodies, a mystery prize, or a gift card or movie voucher. Incentives are great for motivation and worth implementing to increase your staff morale and ultimately increase your business output. Team building activities help build positive relationships between staff. Fun activities can provide stress relief, a chance to laugh and improve on relationships. There is an enormous range of teambuilding games and activities that you can try in your workplace or outside of the workplace. Search for teambuilding activities on google and you will be spoilt for choice. Some examples are room escapes, scavenger hunts, games, trivia nights, karaoke etc. There are also great teambuilding Apps available on the App Store that will take all the hard work out of organising team building activities. You may consider inviting a yoga or meditation coach to come to your place of work and provide a monthly yoga or meditation session. This shows your employees you care and is a great way for your team to de-stress and promotes a happy and healthy environment because “Teamwork makes the dream work”. Education and training is not only the key to keeping your staffs’ skills up to date but also provides inspiration and keeps your team passionate about their work. You may consider attending industry conferences, industry expos or participate in courses together. You may also invite product reps to provide training regarding their new products. Providing your team with access to trade magazines or industry website subscriptions can also improve team engagement in their work and provide fresh inspiration. Look after your team and they will look after your business. Providing events for your team to look forward to can create a very positive workplace. You may choose to shout your team lunch or dinner once a month. I once worked in a business that provided drinks and nibbles after work on a Friday for 1 hour. This was something everyone looked forward to and gave everyone a chance to debrief about the week or talk about things that may not be appropriate in the workplace. By setting a boundary of 1 hour ensured no one drank too much so things never got out of hand. This is a cheap but effective way to show appreciation to your staff and foster closer relationships. Building a sense of connection among workers creates a positive work environment where staff are more likely to feel engaged and in tune with one another. Positive attitudes are extremely important in the workplace environment but managers tend to forget about providing a positive physical environment. Providing your staff with some creature comforts can work wonders to rejuvenate tired staff. Make sure your staff room is a nice, clean place to relax with a comfortable chair, a table for food and tea and coffee making facilities. Even the salon environment can have an impact on your teams’ mood. Consider colours that are bright and cheery. Provide comfortable work stations for each staff member. Even including some beautiful indoor plants can create a more serene environment. Of course, it goes without saying that a positive and supportive workplace will also provide staff with a safe and healthy environment that follows all safety laws to protect your team from harm or injury. Let your team know regularly how much you appreciate their presence. Remember, employees don’t just work for you, they work with you. Celebrating employee milestones can go a long way to creating loyalty. Consider celebrating things such as Birthdays, meeting sales goals, good customer reviews, promotions, employee yearly anniversaries, personal achievements and of course seasonal holidays. It may be something as simple as bringing in a cake or lovely fruit platter for your team to share. You don’t have to spend a lot to show you care. Good leadership skills are essential to a healthy team. Think about how you can praise your staff and express gratitude. Give positive feedback in negative situations and don’t forget that we are all human and make mistakes. Never talk down to your team members and try not to lose your cool. Bad attitudes are contagious. Body language, whether we are consciously aware or not can play a big role in how people feel when receiving information. Monitor your negative or intimidating body language when engaging with staff, especially in negative situations. Conflict management is also an important skill in leadership. If you feel you are lacking in this area there are many courses, books or Youtube videos where you can gain a great deal of informative information. Displaying good leadership skills is imperative in providing a positive workplace culture, which in turn creates employee satisfaction. Meetings are a great way to promote teamwork and keep your employees striving for new goals. A cohesive team needs direction and motivation. Talk about what did and didn’t work since your last meeting. Set new targets and incentives to drive motivation. Use this time to allow your team to provide input on how things can be improved upon. Ask for feedback and actively welcome suggestions to keep your team feeling more valued and more team orientated. Meetings are also a great time to bring up workplace conflicts in a calm manner and provide resolutions before things escalate and damage the team dynamics. Discussing any new protocols, pricing changes, or safety standards is also a great way to keep everyone on the same page. If your Salon isn’t already using Neko Salon Software, its time to get on board so you can empower your team to be the best they can be. No hidden fees, no contracts and great pricing. Neko Salon Software is the simple and affordable key to making your business brilliant. /wp-content/uploads/2019/03/Neko-Teamwork-strategies-2.jpg 402 563 Melissa /wp-content/uploads/2018/10/logox200.png Melissa2019-03-04 03:15:272019-04-08 03:04:48How to Build a Motivated Salon Team. 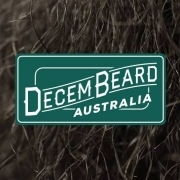 Barbers....Why you should participate in DecemBeard. 10 Reasons Laser, Beauty and Injectable Clinics need Neko How to Handle Customer Complaints In Your Spa, Salon or Barbershop.